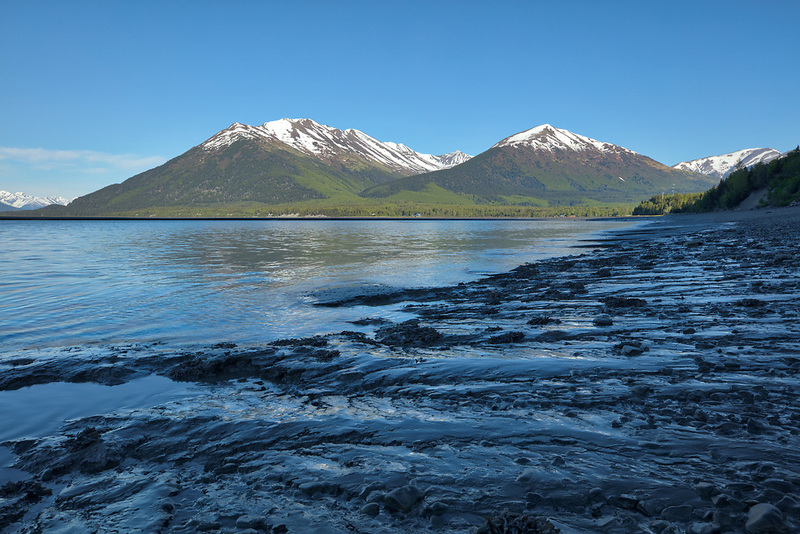 Tidal flats of Turnagain Arm near Hope in Southcentral Alaska. Spring. Evening.